Shop Ultimate Acoustics UA-WPBV-12 Wall Panel Acoustic Foam 1 Pair from AMS and enjoy Fast & Free Shipping. 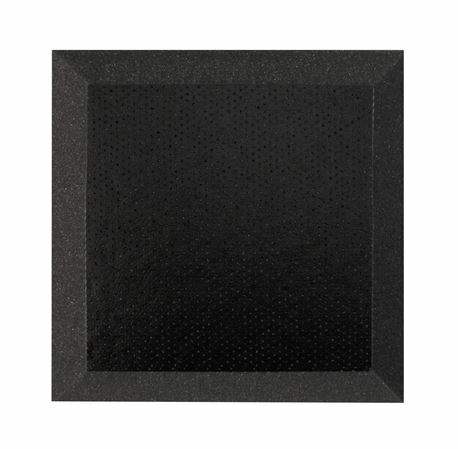 Bevel-style Absorption Panel Professional Studio Foam with Vinyl Layer - 12"x12"x2"
The UA-WPBV-12 professional Absorption Panel is the perfect blend of form and function for acoustically treating small, medium or large spaces. The beveled edges give an elegant, custom designed look to any décor, while the solid foam base provides maximum absorption in the smallest possible space. The Ultimate Acoustics exclusive Perforated Vinyl Covering adds to the efficiency of the low-end absorption while simultaneously acting as a diffuser for higher frequencies – meaning you can have a controlled room, not a dead one. And Ultimate Acoustic’s free Room Analysis App helps you plan and execute the ideal deployment for your space and application. 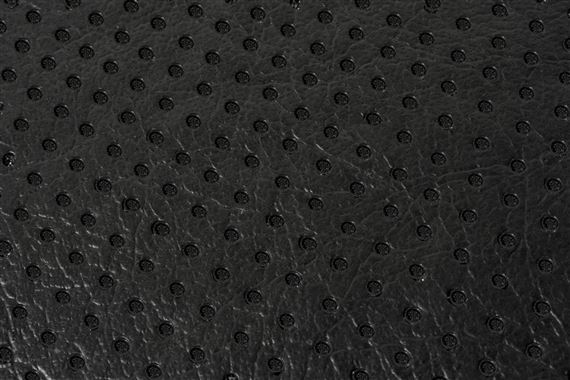 Unique to Ultimate Acoustics is the addition of a thin layer of Perforated Vinyl Covering that significantly boosts performance in controlling troublesome lower and lower-mid frequencies, without increasing the size or weight of the panel. This surface has the additional benefit of providing a soft diffusion to higher frequencies, giving just the right balance of “liveness” to critical listening environments. In acoustical foam, quantity matters more than shape. This is because the softness of the foam provides no reflections on its own – it simply absorbs. So cutting the foam into egg-crate or similar shapes only reduces the amount of foam available to absorb sound. The UA-WPBV’s solid foam base gives the maximum amount of sound absorption in the smallest possible space. There is a tendency when treating a space to simply “deaden” the environment by completely covering surfaces in absorptive materials. But this is not the best approach to critical listening. Better is to have the right balance of live and dead surfaces, so as to create a room with a controlled response to sound. Using the UA-WPBV-12 in combination with other Ultimate Acoustics products provides the range of surfaces needed for precise room tuning. This gives a much more realistic, pleasing and productive reference situation for mixing, tracking, or just plain listening! Take the guesswork out of your room design with Ultimate Acoustic’s Room Analysis App. This free iOS app takes the exact parameters of your room and your intended application, and creates a detailed diagram that takes in account using different types of treatments (panels, bass traps, partially reflective vs. fully absorptive) to maximize acoustical response. Built by Ultimate’s leading acoustic engineers, the app helps you choose the right combination of surfaces in the right places to pack some real intelligence into the design of your space.